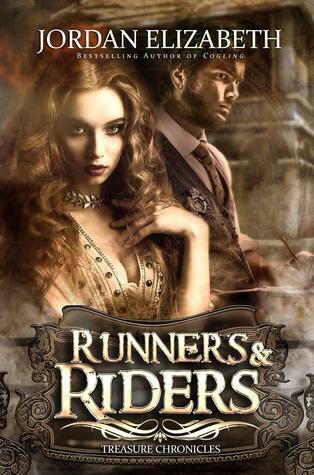 Runners and Riders and Secrets of Bennett Hall are the first two books in Jordan Elizabeth's steampunk series Return to Amston. Amazon affiliate links are used on this site. A free books were provided for an honest review. Juliet had wanted to have friends in her seaside village, so when Anna took an interest, Juliet did whatever Anna wanted to do, including learning to pick locks, steal and lead a double life as a Runner. The Runners tended to do whatever they wanted in New Addison City, and the Riders were the ones to enforce the law to keep them in check. She had never thought they were really dangerous until they used her to attack a new Rider in the city. Now she wants to make up for the damage done and help the Rider any way she can. This is a steampunk world that doesn't quite align with ours. It's not meant to be an alternate version of countries here but is one of its own. There is still a president and mentions of royalty from years ago, but the focus is more on the people living in the city and the complex relationships they have with each other and their double lives than the clockwork. It's still fascinating to look into the fragments of history as Juliet learns them, as well as see her grow up through hardships. We probably didn't need the first few chapters as it was to give us Juliet and Jonathan's history, as that could have been woven into the current day plotline as flashbacks or dream sequences. Seeing the "x years later" heading on a new chapter was a bit jarring at first, as I wondered when the main plot would pick up. Once it does, it steamrolls through. Adelaide Dinsmore was run out of her teaching position in the west when a student was drowned, so she next took on a position as governess at Bennett Hall. She had memories of "a time before she was Adelaide," and other oddities that she had tried to forget. There are creepy things about Bennett Hall, however, and she can't leave her charge behind. 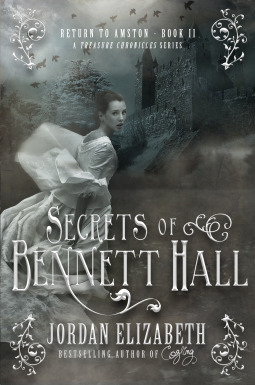 Secrets of Bennett Hall is the second book in the "Return to Amston" series, but the only connection to "Runners and Riders" is the wider world that the characters live in. Adelaide had once been in New Addison City, there are clockworks and the steampunk sayings of "brass glass" or "sprocket" at times. This novel has a much more Gothic feel in addition to the steampunk world, as the creepiness comes in from the very beginning. There are flashes of Adelaide's memories of a past life, the servant that comes across as vaguely menacing, the stories from townspeople about missing servants and accidental deaths, secret passages in the walls of the Hall and the fact that Adelaide knows things about the house and its past even though she hadn't been there before. The plot unfolds gradually, and there are a lot of twists and turns. The steampunk and science-ish background of the world explains some of the plot points toward the ending, which was not what I was expecting at all when I read it. It's definitely a new approach to the Gothic and steampunk genres and felt over far too soon.